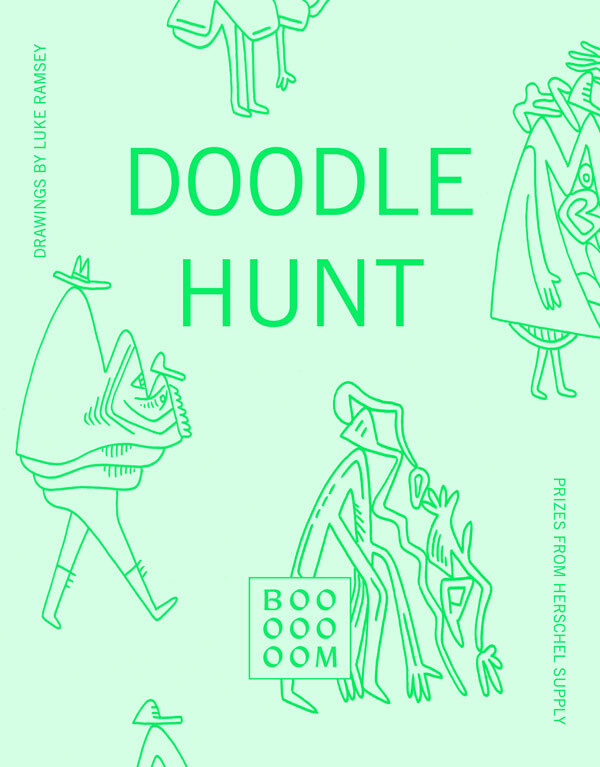 I am really really really excited to announce our first-ever Booooooom Doodle Hunt! It starts today! So what is it exactly? Let me tell you! A couple weeks ago I was hanging with my friend artist Luke Ramsey and I filmed him drawing a whole bunch of these really cool characters. We came up with the idea to hide them all around the site and give away original drawings to people who find them. I also thought this would be a unique way just to say thanks for hanging around on Booooooom. 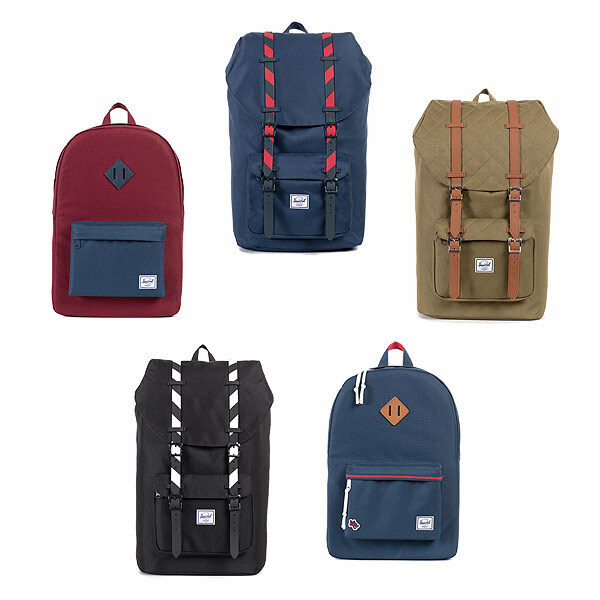 With that in mind I asked my friends at Herschel Supply if they’d also hook us up with some bags as prizes! 1. The Doodle Hunt begins today and runs until November 6th. 2. We have added 14 of Luke’s “hidden friends” to random posts starting from TODAY back to JUNE 1 2015 (5 months of posts, nothing is hidden further back than that). 3. There will be 1 additional drawing hidden on a post between now and November 6th. This will be the 15th doodle you will need to complete the set, so keep your eyes peeled on new posts in the next 3 weeks! 5. Whenever you find a “hidden friend” save the image and make sure to record the URL of the post. 6. 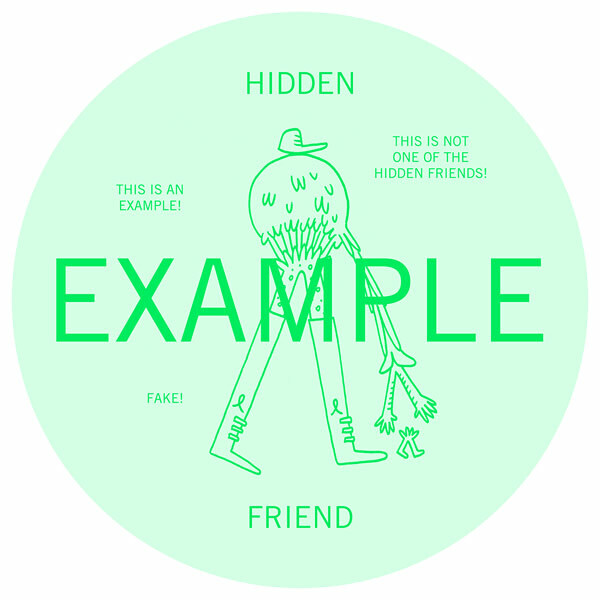 If you are able to find all 15 “hidden friends” send an email to [email protected] with the 15 images and the 15 URLs of the pages they were hiding. The first 4 people to find them all each win a Herschel Supply bag, and an original drawing by Luke Ramsey. BONUS: There is 1 “hidden friend” that is RED instead of green. The first person to find it instantly wins a Herschel Supply bag! UPDATE: The Red one has been found! Happy hunting everyone and big thanks once again to Luke Ramsey and Herschel Supply. This is just for fun but maybe it could turn into a thing! We may give some hints as to the locations after the first week.